Component libraries make our life easier. But as developers, you would often find yourself in situations where 3rd party components don't provide the functionality or customization capability the project needs. What to choose depends on the component and the situation that you are in. Apparently, some components are not customizable, Some feature requirements are not feasible. But most of the time, customizing 3rd party component is the less time-consuming option. Here's how. 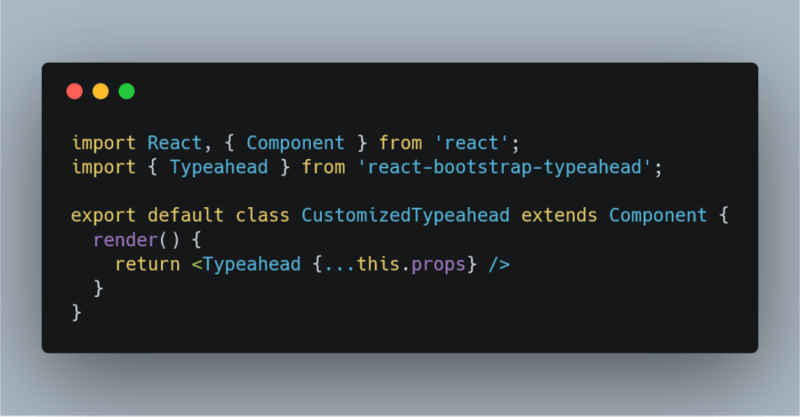 As example, we are going to customize react-bootstrap-typeahead component. Just find out what's the component's CSS classes and overwrite them with new CSS. Goal: Add a dropdown icon to the input box, so that it looks like a drop-down. This is where you could alter the default behavior of the 3rd party component. 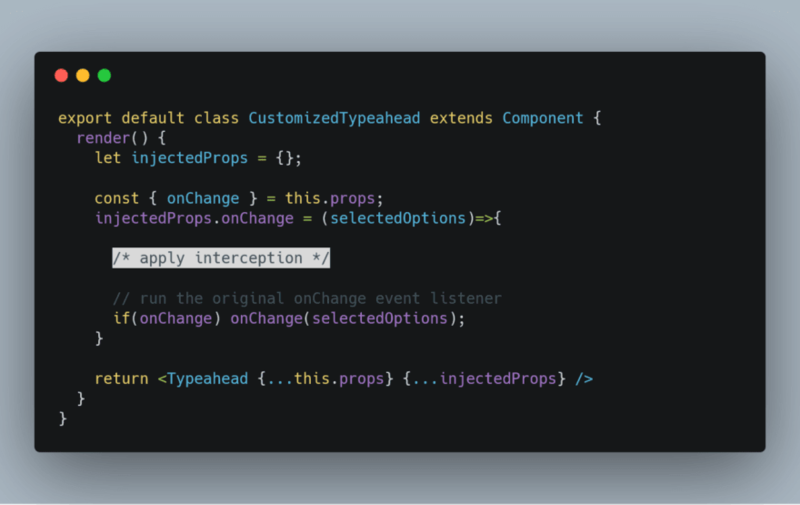 Start by creating a wrapper component CustomizedTypeahead and replace Typeahead with it. This wrapper component has no effect for now. It's simply passing props down to the Typeahead component. We are going to customize the component behavior by making changes to props. Let's start with the simplest customization. Let say we want all the CustomizedTypeahead to have the clearButton props enabled by default. We create injectedProps and will put all the props modification inside to make the codes manageable. 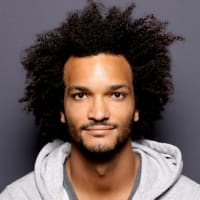 We are receiving options, which is an array of objects, and labelKey, which tell us that the option's label should be optionObject[labelKey]. Our goal is to sort optionObject[labelKey] by alphabetic order. We can do so by using Array.prototype.sort() to sort the options array. 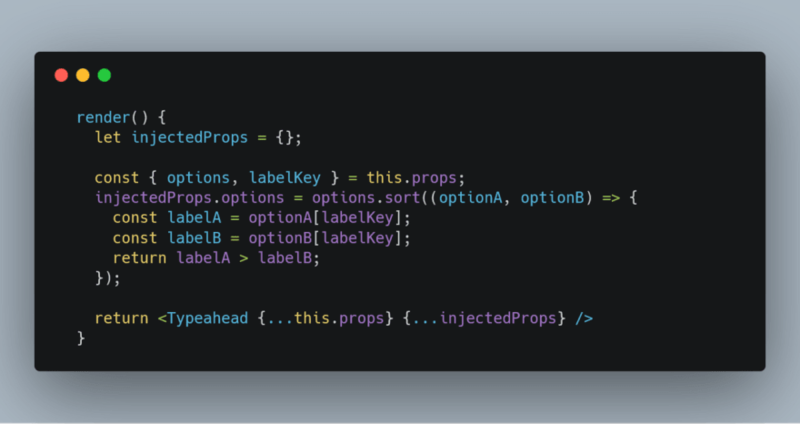 This way, the options in injectedProps will overwrite the original options in props. That's how we can sort all options by alphabetic order by default. Goal: When the user selects an option, if the user has selected both "California" and "Texas" together, alert the user and clear the selection (for no particular reason other than for demo). This is the fun part where you can do lots of customization. Note the if(onChange) onChange(selectedOptions);. This makes sure that the original onChange event listener continues to run after we intercept it. We create an onChange function that is of the same structure of the default onChange function. It's a function that receives an array of selected options. We scan through the selected options and check if it's valid. Caution: Don't overuse this! This is your last resort. You should only do this if there is no other choice. It's actually not uncommon that one would have to modify a package's source code to fit a project's need. Especially if you found a bug in a package and you need it fixed urgently. Some package uses different languages like CoffeeScript, Typescript. If you don't know the language, you don't know how to edit it. It can be time-consuming to study the source code and figure out where exactly to put your modification. You may unintentionally break some part of the package. When the package updates, you would need to manually apply the update. If you decide to go ahead and make some modification to the source code, here's how. In our example case, go to https://github.com/ericgio/react-bootstrap-typeahead and fork the repo to your own GitHub account. After you fork the repo, your GitHub repo's URL should be https://github.com/<your GitHub username>/react-bootstrap-typeahead. 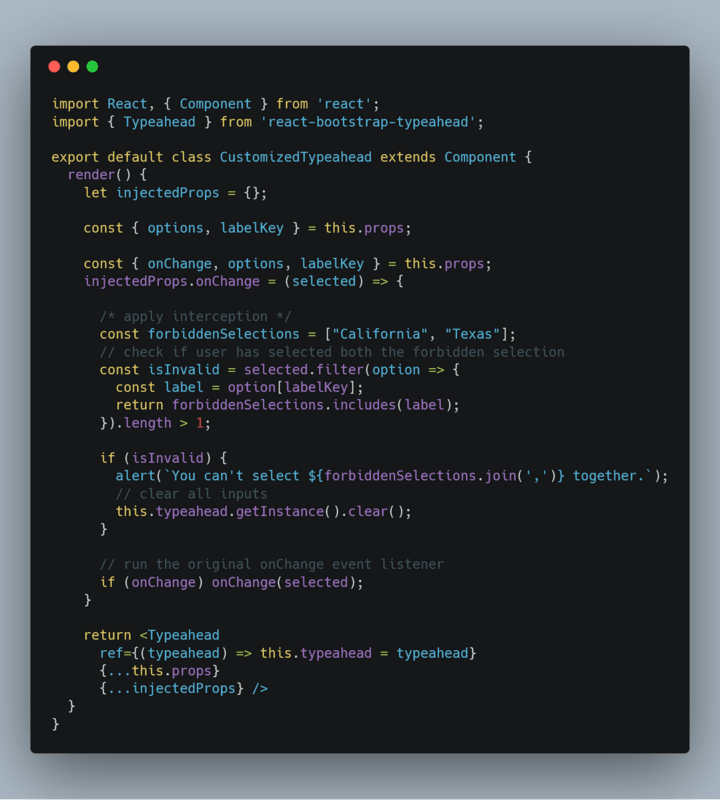 We talked about 3 ways to customize 3rd party React component. Hopefully, this would make your life as a React developer easier. In the meantime, let's all take a moment and be grateful to all the open source creators/contributors out there. 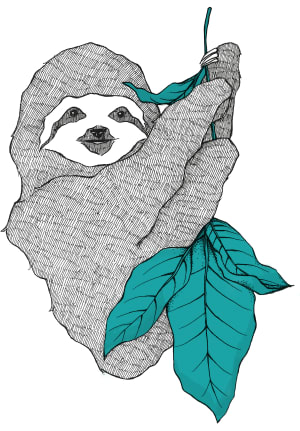 Without these open source packages, we wouldn't be able to move as fast as we do today. What's your experience with 3rd party component libraries? What other method would you use to customize them? Leave a comment! I've used Ant Design's autocomplete but haven't had idea how to inject custom properties (accessibility props) but your article provided how I can get started.